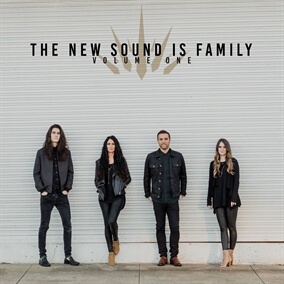 The New Sound Is Family (TNSIF) is a family of worship leaders (Michael, Sherrie, Sarah, and John Michael Howell), who write and record songs and travel the world, leading worship and teaching at churches and conferences. Their new release, The New Sound Is Family, Volume 1 is an album with a multigenerational sound, reaching a multigenerational audience. It is a call to every man, woman, boy and girl to awaken to their true identity as sons and daughters of Father God.